Being a wedding photographer, and a storyteller is about being unique. Take for instance this image at the Citadel Beach Club. Your wedding images are created from your heart, and thus this is what your clients want to see in their wedding images, reflected in that art form. I wanted to showcase this incredible black and white image of a double bride with her double lovely mom putting on the veil. While this image could have been captured 100 different ways if not more, my eyes are always looking to push the envelope. At the Citadel Beach Club, the room had a mirror and with a little trick in photography okay maybe a big trick, I knew the right composition and the best way to make this image breathe art in its finest form. To me, the art and creating this type of wedding image it is what makes me different and why my wedding clients choose me. 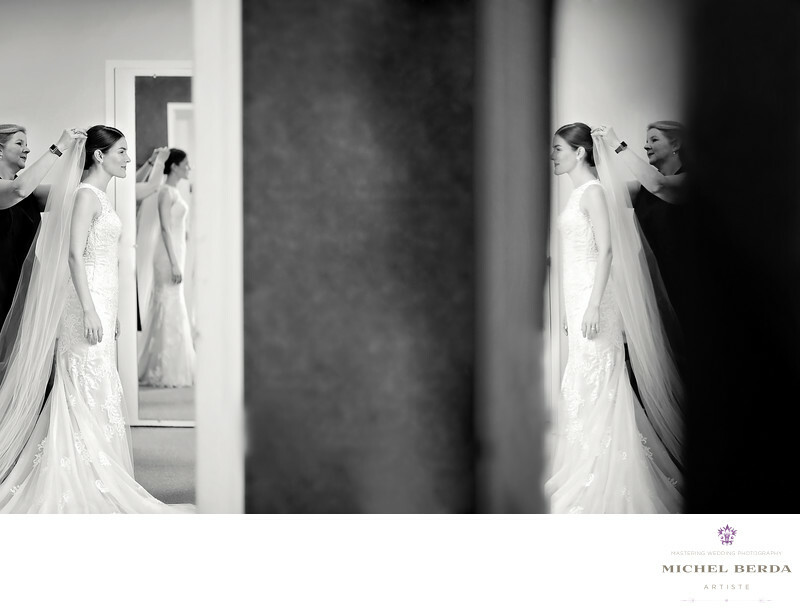 Keywords: Charleston (1179), isle of palms (30), isle of palms sc wedding photographer (3), Michel Berda (1140), photographer (1125), the citadel beach club (3), the citadel beach club isle of palms (3), the citadel beach club wedding photographer (3), the citadel beach club wedding photographers (3), Wedding Photographer (1254), wedding photographer the citadel beach club (3), wedding photographers the citadel beach club (3).